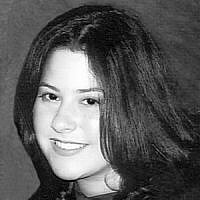 Sarri Singer, born in Lakewood, New Jersey, is the daughter of New Jersey State Senator, Robert Singer. Until 9/11, Sarri worked two blocks away from the World Trade Center. Deeply moved by the tragedy of 9/11, Sarri decided to resign from her position in December 2001 and move to Israel to help victims of terrorism. While there, Sarri volunteered with various organizations working with victims of terror and their families. On June 11, 2003, Sarri was on Bus 14 in Jerusalem when an 18 year old Palestinian terrorist dressed as a religious Jew boarded and blew himself up. 16 people were killed, including all those seated and standing around her, and over 100 people were injured. Sarri was hospitalized for two weeks and then returned to New Jersey to be with family. Her story became high profile. She appeared on television stations such as CBS, FoxNews, CNN and radio interviews. She spoke before Congressmen and Senators in Washington, D.C. and politicians in New York and New Jersey. In September 2003 she returned to work and volunteering in Israel. In June 2004, she returned to the United States to take care of some ongoing medical issues. Sarri is the Founder and Director of Strength to Strength (www.stosglobal.org), a non profit organization which focuses on bringing together victims of terrorism from around the world and assisting with long term psychological care. Sarri has addressed audiences throughout the United States, Canada, Europe and Israel and continues to share her unique insight into the ongoing struggle for victims of terrorism in Israel and around the world.